This Maje coat is definitely my favourite catch from Berlin. If I could, I would never take it off. I finally have something to wear with this bag, and this blue beanie fits perfectly. Seems like blue is the colour of my spring. Ajme ipak u Hrvatskoj netko zna za taj odlican brend..Obozavam ga vec dugo, a kaputi su im najbolji! super ti stoji ovaj!! jelda, to je bila najbolja shopping destinacija iako nisu imali ni pola od londonske ponude! 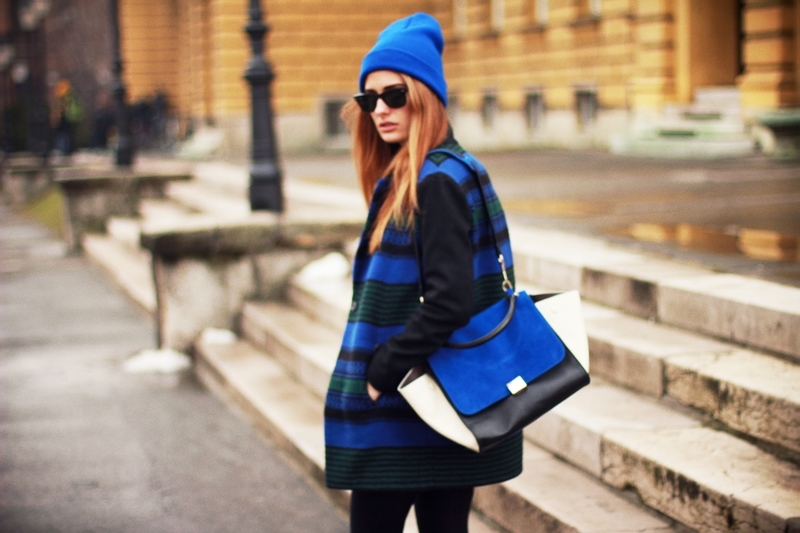 Amazing outfit, I love the bag and the striped top! 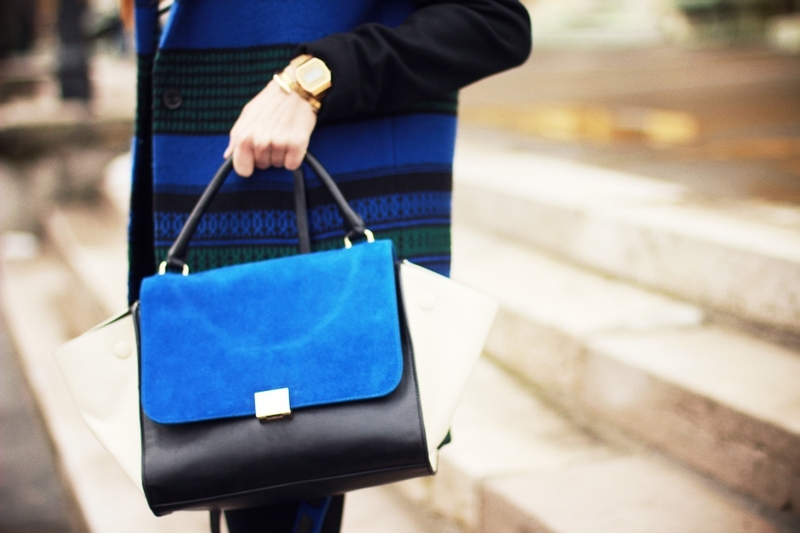 I love that bag ! That coat is beautiful! I love the colour! zaljubila sam se u kaput. yeah ! this colour is amaizing ! Odlična kombinacija. Boje mi se mnogo dopadaju! love the striped coat! you look stunning in everything you wear! xO! OMG that purse is perfection!! How beautiful is that color of blue! It's just bright and lovely. You look great. Absolutely great outfit! That blue shade is one of my favorites too. 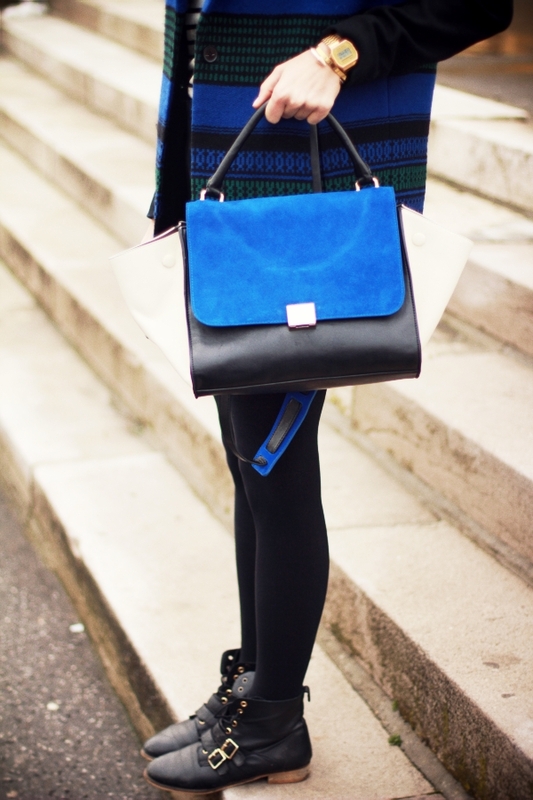 Love the jacket and the bag! They go perfectly together! Super je kaput, kao i svaka tvoja kombinacija! This blue look is amazing! OMG! You look beautiful! xoxo M.